Mandela's African name "Rolihlahla" means "troublemaker." Mandela became the first black president of South Africa in 1994, serving until 1999. 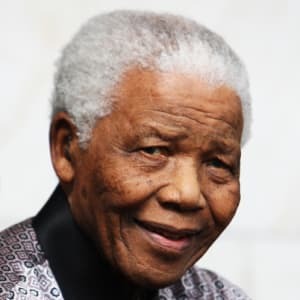 Nelson Rolihlahla Mandela (July 18, 1918 to December 5, 2013) was a nonviolence anti-apartheid activist, politician and philanthropist who became South Africa’s first black president from 1994 to 1999. Becoming actively involved in the anti-apartheid movement in his 20s, Mandela joined the African National Congress in 1942. For 20 years, he directed a campaign of peaceful, nonviolent defiance against the South African government and its racist policies. Beginning in 1962, Mandela spent 27 years in prison for political offenses. In 1993, Mandela and South African President F.W. de Klerk were jointly awarded the Nobel Peace Prize for their efforts to dismantle the country&apos;s apartheid system. For generations to come, Nelson Mandela will continue to be a source of inspiration for civil rights activists worldwide. Nelson Mandela died on December 5, 2013, at the age of 95 in his home in Johannesburg, South Africa. 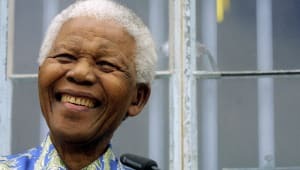 After suffering a lung infection in January 2011, Mandela was briefly hospitalized in Johannesburg to undergo surgery for a stomach ailment in early 2012. He was released after a few days, later returning to Qunu. 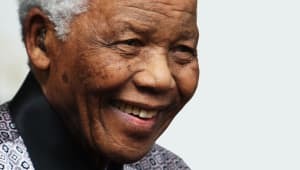 Mandela would be hospitalized many times over the next several years — in December 2012, March 2013 and June 2013 — for further testing and medical treatment relating to his recurrent lung infection. 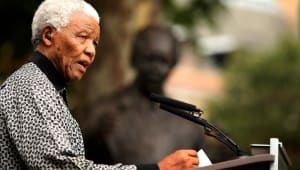 Following his June 2013 hospital visit, Mandela&apos;s wife, Graca Machel, canceled a scheduled appearance in London to remain at her husband&apos;s his side, and his daughter, Zenani Dlamini, flew back from Argentina to South Africa to be with her father. Jacob Zuma, South Africa&apos;s president, issued a statement in response to public concern over Mandela&apos;s March 2013 health scare, asking for support in the form of prayer: "We appeal to the people of South Africa and the world to pray for our beloved Madiba and his family and to keep them in their thoughts," Zuma said. On the day of Mandela’s death, Zuma released a statement speaking to Mandela&apos;s legacy: "Wherever we are in the country, wherever we are in the world, let us reaffirm his vision of a society ... in which none is exploited, oppressed or dispossessed by another," he said. Mandela was married three times and had six children. He wed his first wife, Evelyn Ntoko Mase, in 1944. The couple had four children together: Madiba Thembekile (d. 1964), Makgatho (d. 2005), Makaziwe (d. 1948 at nine months old) and Maki. The couple divorced in 1957. 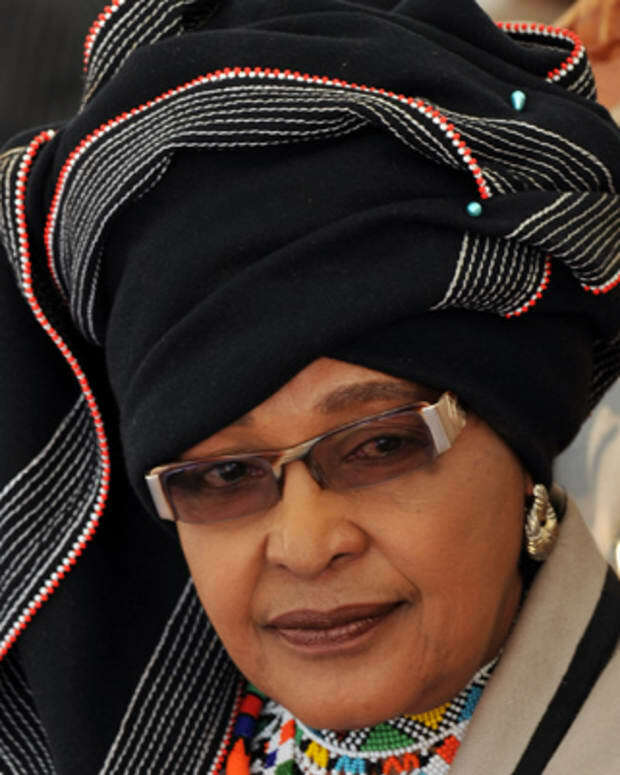 In 1958, Mandela wed Winnie Madikizela; the couple had two daughters together, Zenani (Argentina&apos;s South African ambassador) and Zindziswa (the South African ambassador to Denmark), before splitting in 1996. Two years later, in 1998, Mandela married Graca Machel, the first Education Minister of Mozambique, with whom he remained until his death in 2013. In 1994, Mandela published his autobiography, Long Walk to Freedom, much of which he had secretly written while in prison. The book inspired the 2013 movie Mandela: Long Walk to Freedom. 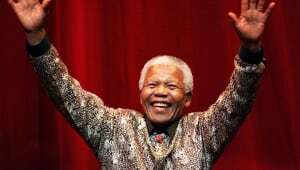 He also published a number of books on his life and struggles, among them No Easy Walk to Freedom; Nelson Mandela: The Struggle Is My Life; and Nelson Mandela&apos;s Favorite African Folktales. 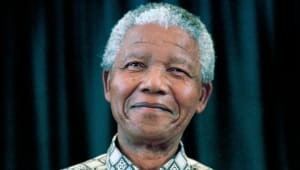 In 2009, Mandela&apos;s birthday (July 18th) was declared Mandela Day, an international day to promote global peace and celebrate the South African leader&apos;s legacy. According to the Nelson Mandela Foundation, the annual event is meant to encourage citizens worldwide to give back the way that Mandela has throughout his lifetime. A statement on the Nelson Mandela Foundation&apos;s website reads: "Mr. Mandela gave 67 years of his life fighting for the rights of humanity. All we are asking is that everyone gives 67 minutes of their time, whether it&apos;s supporting your chosen charity or serving your local community." When and Where Was Nelson Mandela Born? Nelson Mandela was born Rolihlahla Mandela on July 18, 1918, in the tiny village of Mvezo, on the banks of the Mbashe River in Transkei, South Africa. "Rolihlahla" in the Xhosa language literally means "pulling the branch of a tree," but more commonly translates as "troublemaker." Nelson Mandela&apos;s father, who was destined to be a chief, served as a counselor to tribal chiefs for several years, but lost both his title and fortune over a dispute with the local colonial magistrate. Mandela was only an infant at the time, and his father&apos;s loss of status forced his mother to move the family to Qunu, an even smaller village north of Mvezo. The village was nestled in a narrow grassy valley; there were no roads, only foot paths that linked the pastures where livestock grazed. The family lived in huts and ate a local harvest of maize, sorghum, pumpkin and beans, which was all they could afford. Water came from springs and streams and cooking was done outdoors. 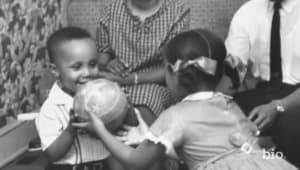 Mandela played the games of young boys, acting out male right-of-passage scenarios with toys he made from the natural materials available, including tree branches and clay. At the suggestion of one of his father&apos;s friends, Mandela was baptized in the Methodist Church. He went on to become the first in his family to attend school. 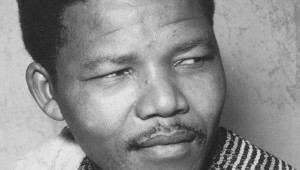 As was custom at the time, and probably due to the bias of the British educational system in South Africa, Mandela&apos;s teacher told him that his new first name would be Nelson. When Mandela was nine years old, his father died of lung disease, causing his life to change dramatically. He was adopted by Chief Jongintaba Dalindyebo, the acting regent of the Thembu people — a gesture done as a favor to Mandela&apos;s father, who, years earlier, had recommended Jongintaba be made chief. Mandela subsequently left the carefree life he knew in Qunu, fearing that he would never see his village again. He traveled by motorcar to Mqhekezweni, the provincial capital of Thembuland, to the chief&apos;s royal residence. Though he had not forgotten his beloved village of Qunu, he quickly adapted to the new, more sophisticated surroundings of Mqhekezweni. Mandela was given the same status and responsibilities as the regent&apos;s two other children, his son and oldest child, Justice, and daughter Nomafu. Mandela took classes in a one-room school next to the palace, studying English, Xhosa, history and geography. It was during this period that Mandela developed an interest in African history, from elder chiefs who came to the Great Palace on official business. He learned how the African people had lived in relative peace until the coming of the white people. According to the elders, the children of South Africa had previously lived as brothers, but white men had shattered this fellowship. While black men shared their land, air and water with whites, white men took all of these things for themselves. When Mandela was 16, it was time for him to partake in the traditional African circumcision ritual to mark his entrance into manhood. The ceremony of circumcision was not just a surgical procedure, but an elaborate ritual in preparation for manhood. In African tradition, an uncircumcised man cannot inherit his father&apos;s wealth, marry or officiate at tribal rituals. Mandela participated in the ceremony with 25 other boys. He welcomed the opportunity to partake in his people&apos;s customs and felt ready to make the transition from boyhood to manhood. His mood shifted during the proceedings, however, when Chief Meligqili, the main speaker at the ceremony, spoke sadly of the young men, explaining that they were enslaved in their own country. Because their land was controlled by white men, they would never have the power to govern themselves, the chief said. He went on to lament that the promise of the young men would be squandered as they struggled to make a living and perform mindless chores for white men. Mandela would later say that while the chief&apos;s words didn&apos;t make total sense to him at the time, they would eventually formulate his resolve for an independent South Africa. Under the guardianship of Regent Jongintaba, Mandela was groomed to assume high office, not as a chief, but a counselor to one. As Thembu royalty, Mandela attended a Wesleyan mission school, the Clarkebury Boarding Institute and Wesleyan College, where, he would later state, he achieved academic success through "plain hard work." He also excelled at track and boxing. Mandela was initially mocked as a "country boy" by his Wesleyan classmates, but eventually became friends with several students, including Mathona, his first female friend. In 1939, Mandela enrolled at the University College of Fort Hare, the only residential center of higher learning for blacks in South Africa at the time. Fort Hare was considered Africa&apos;s equivalent of the University of Oxford or Harvard University, drawing scholars from all parts of sub-Saharan Africa. In his first year at the university, Mandela took the required courses, but focused on Roman Dutch law to prepare for a career in civil service as an interpreter or clerk — regarded as the best profession that a black man could obtain at the time. In his second year at Fort Hare, Mandela was elected to the Student Representative Council. For some time, students had been dissatisfied with the food and lack of power held by the SRC. During this election, a majority of students voted to boycott unless their demands were met. Aligning with the student majority, Mandela resigned from his position. Seeing this as an act of insubordination, the university&apos;s Dr. Kerr expelled Mandela for the rest of the year and gave him an ultimatum: He could return to the school if he agreed to serve on the SRC. When Mandela returned home, the regent was furious, telling him unequivocally that he would have to recant his decision and go back to school in the fall. A few weeks after Mandela returned home, Regent Jongintaba announced that he had arranged a marriage for his adopted son. The regent wanted to make sure that Mandela&apos;s life was properly planned, and the arrangement was within his right, as tribal custom dictated. Shocked by the news, feeling trapped and believing that he had no other option than to follow this recent order, Mandela ran away from home. He settled in Johannesburg, where he worked a variety of jobs, including as a guard and a clerk, while completing his bachelor&apos;s degree via correspondence courses. He then enrolled at the University of Witwatersrand in Johannesburg to study law. Mandela became actively involved in the anti-apartheid movement, joining the African National Congress in 1942. Within the ANC, a small group of young Africans banded together, calling themselves the African National Congress Youth League. Their goal was to transform the ANC into a mass grassroots movement, deriving strength from millions of rural peasants and working people who had no voice under the current regime. Specifically, the group believed that the ANC&apos;s old tactics of polite petitioning were ineffective. In 1949, the ANC officially adopted the Youth League&apos;s methods of boycott, strike, civil disobedience and non-cooperation, with policy goals of full citizenship, redistribution of land, trade union rights, and free and compulsory education for all children. For 20 years, Mandela directed peaceful, nonviolent acts of defiance against the South African government and its racist policies, including the 1952 Defiance Campaign and the 1955 Congress of the People. He founded the law firm Mandela and Tambo, partnering with Oliver Tambo, a brilliant student he&apos;d met while attending Fort Hare. The law firm provided free and low-cost legal counsel to unrepresented blacks. In 1956, Mandela and 150 others were arrested and charged with treason for their political advocacy (they were eventually acquitted). Meanwhile, the ANC was being challenged by Africanists, a new breed of black activists who believed that the pacifist method of the ANC was ineffective. Africanists soon broke away to form the Pan-Africanist Congress, which negatively affected the ANC; by 1959, the movement had lost much of its militant support. Nelson Mandela spent 27 years in prison, from November 1962 until February 1990. 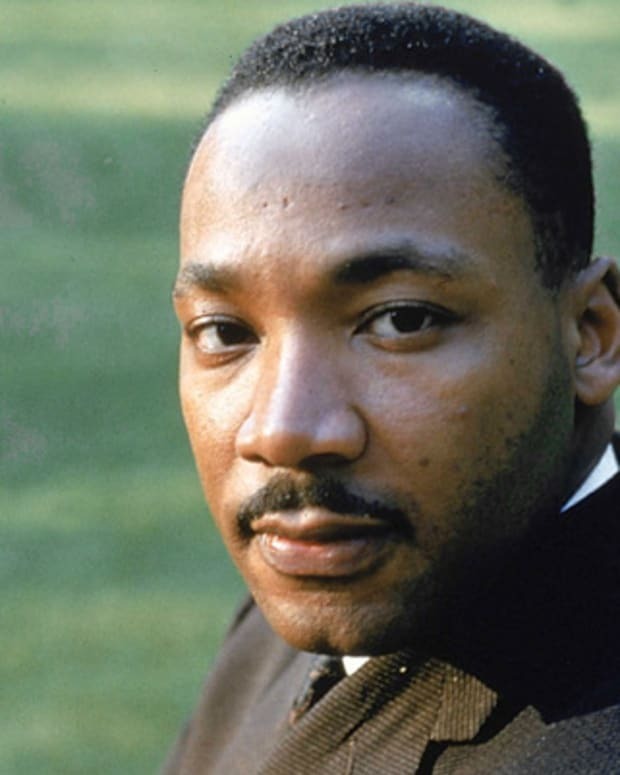 Formerly committed to nonviolent protest, he began to believe that armed struggle was the only way to achieve change. In 1961, Mandela co-founded Umkhonto we Sizwe, also known as MK, an armed offshoot of the ANC dedicated to sabotage and use guerilla war tactics to end apartheid. In 1961, Mandela orchestrated a three-day national workers&apos; strike. 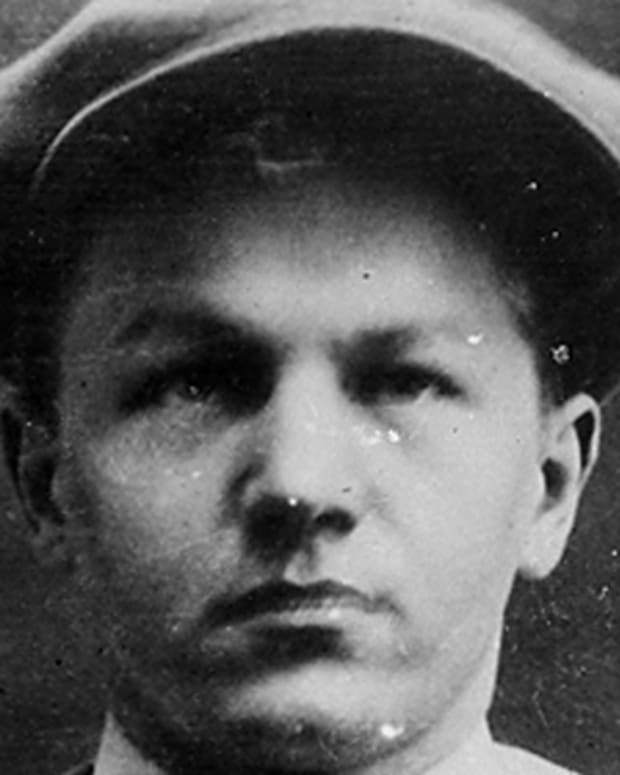 He was arrested for leading the strike the following year and was sentenced to five years in prison. In 1963, Mandela was brought to trial again. This time, he and 10 other ANC leaders were sentenced to life imprisonment for political offenses, including sabotage. Nelson Mandela was incarcerated on Robben Island for 18 of his 27 years in prison. During this time, he contracted tuberculosis and, as a black political prisoner, received the lowest level of treatment from prison workers. However, while incarcerated, Mandela was able to earn a Bachelor of Law degree through a University of London correspondence program. A 1981 memoir by South African intelligence agent Gordon Winter described a plot by the South African government to arrange for Mandela&apos;s escape so as to shoot him during the recapture; the plot was foiled by British intelligence. Mandela continued to be such a potent symbol of black resistance that a coordinated international campaign for his release was launched, and this international groundswell of support exemplified the power and esteem that Mandela had in the global political community. In 1982, Mandela and other ANC leaders were moved to Pollsmoor Prison, allegedly to enable contact between them and the South African government. 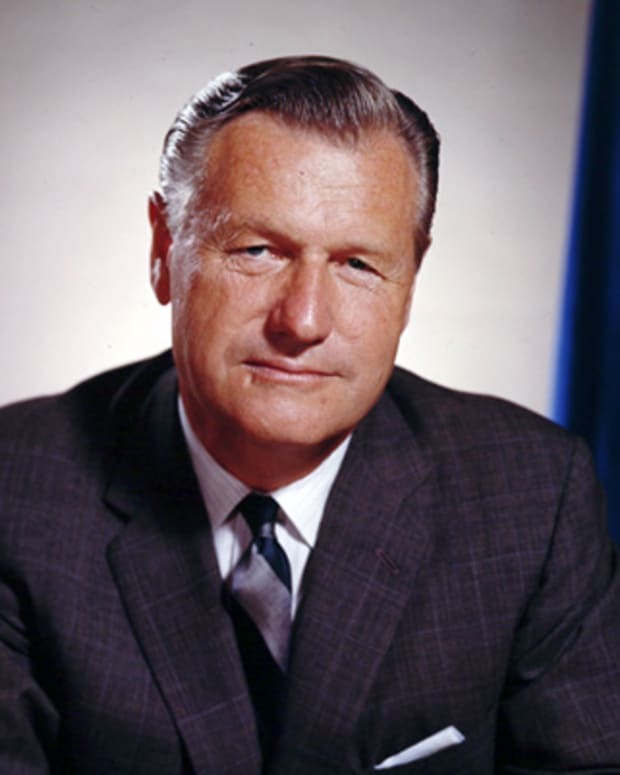 In 1985, President P.W. Botha offered Mandela&apos;s release in exchange for renouncing armed struggle; the prisoner flatly rejected the offer. 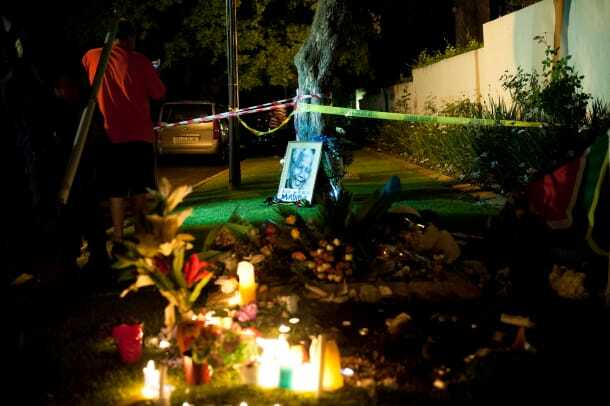 With increasing local and international pressure for his release, the government participated in several talks with Mandela over the ensuing years, but no deal was made. It wasn&apos;t until Botha suffered a stroke and was replaced by Frederik Willem de Klerk that Mandela&apos;s release was finally announced, on February 11, 1990. De Klerk also lifted the ban on the ANC, removed restrictions on political groups and suspended executions. Upon his release from prison, Nelson Mandela immediately urged foreign powers not to reduce their pressure on the South African government for constitutional reform. 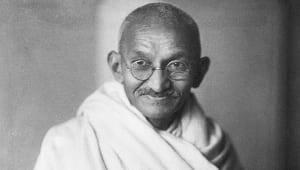 While he stated that he was committed to working toward peace, he declared that the ANC&apos;s armed struggle would continue until the black majority received the right to vote. In 1991, Mandela was elected president of the African National Congress, with lifelong friend and colleague Oliver Tambo serving as national chairperson. In 1993, Nelson Mandela and President de Klerk were jointly awarded the Nobel Peace Prize for their work toward dismantling apartheid in South Africa. After Mandela’s release from prison, he negotiated with President de Klerk toward the country&apos;s first multiracial elections. White South Africans were willing to share power, but many black South Africans wanted a complete transfer of power. 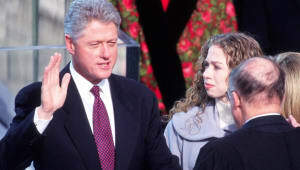 The negotiations were often strained, and news of violent eruptions, including the assassination of ANC leader Chris Hani, continued throughout the country. Mandela had to keep a delicate balance of political pressure and intense negotiations amid the demonstrations and armed resistance. Due in no small part to the work of Mandela and President de Klerk, negotiations between black and white South Africans prevailed: On April 27, 1994, South Africa held its first democratic elections. Nelson Mandela was inaugurated as the country&apos;s first black president on May 10, 1994, at the age of 77, with de Klerk as his first deputy. From 1994 until June 1999, President Mandela worked to bring about the transition from minority rule and apartheid to black majority rule. He used the nation&apos;s enthusiasm for sports as a pivot point to promote reconciliation between whites and blacks, encouraging black South Africans to support the once-hated national rugby team. In 1995, South Africa came to the world stage by hosting the Rugby World Cup, which brought further recognition and prestige to the young republic. That year Mandela was also awarded the Order of Merit. During his presidency Mandela also worked to protect South Africa&apos;s economy from collapse. Through his Reconstruction and Development Plan, the South African government funded the creation of jobs, housing and basic health care. In 1996, Mandela signed into law a new constitution for the nation, establishing a strong central government based on majority rule, and guaranteeing both the rights of minorities and the freedom of expression. By the 1999 general election, Nelson Mandela had retired from active politics. 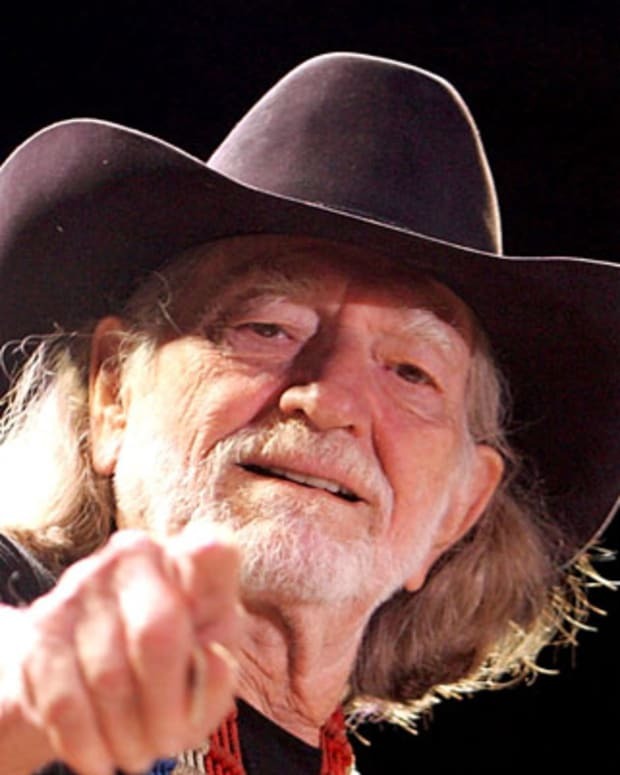 He continued to maintain a busy schedule, however, raising money to build schools and clinics in South Africa&apos;s rural heartland through his foundation, and serving as a mediator in Burundi&apos;s civil war. Mandela was diagnosed and treated for prostate cancer in 2001. 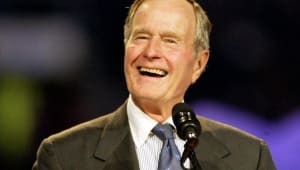 In June 2004, at the age of 85, he announced his formal retirement from public life and returned to his native village of Qunu. On July 18, 2007, Mandela and wife Graca Machel co-founded The Elders, a group of world leaders aiming to work both publicly and privately to find solutions to some of the world&apos;s toughest issues. The group included Desmond Tutu, Kofi Annan, Ela Bhatt, Gro Harlem Brundtland, Jimmy Carter, Li Zhaoxing, Mary Robinson and Muhammad Yunus. The Elders&apos; impact has spanned Asia, the Middle East and Africa, and their actions have included promoting peace and women&apos;s equality, demanding an end to atrocities, and supporting initiatives to address humanitarian crises and promote democracy. In addition to advocating for peace and equality on both a national and global scale, in his later years, Mandela remained committed to the fight against AIDS. His son Makgatho died of the disease in 2005. Nelson Mandela made his last public appearance at the final match of the World Cup in South Africa in 2010. 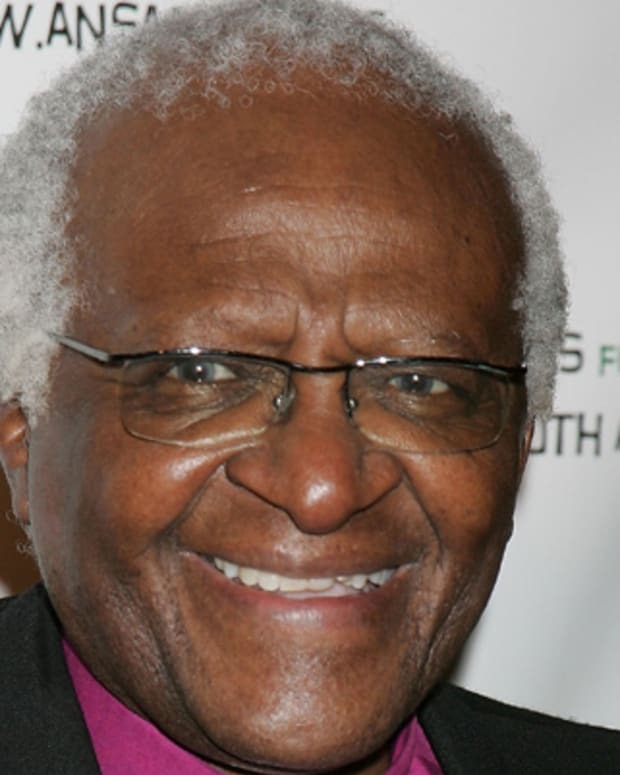 He remained largely out of the spotlight in his later years, choosing to spend much of his time in his childhood community of Qunu, south of Johannesburg. He did, however, visit with U.S. first lady Michelle Obama, wife of President Barack Obama, during her trip to South Africa in 2011. Barack Obama, while a junior senator from Illinois, also met with Nelson Mandela during his 2005 trip to the United States. 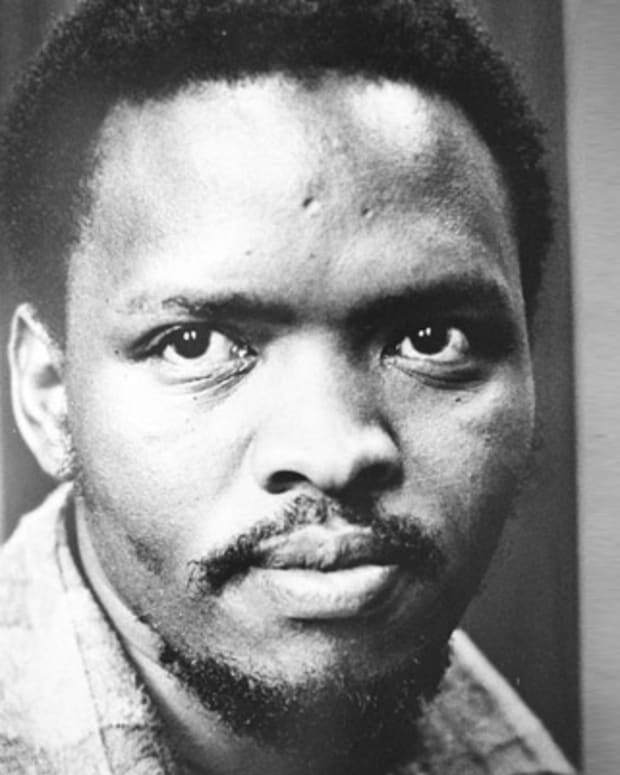 Steve Biko spearheaded the Black Consciousness Movement in South Africa. He died in 1977, from injuries sustained while in police custody. Oliver Tambo was the acting president of the African National Congress, the South African anti-apartheid political party. 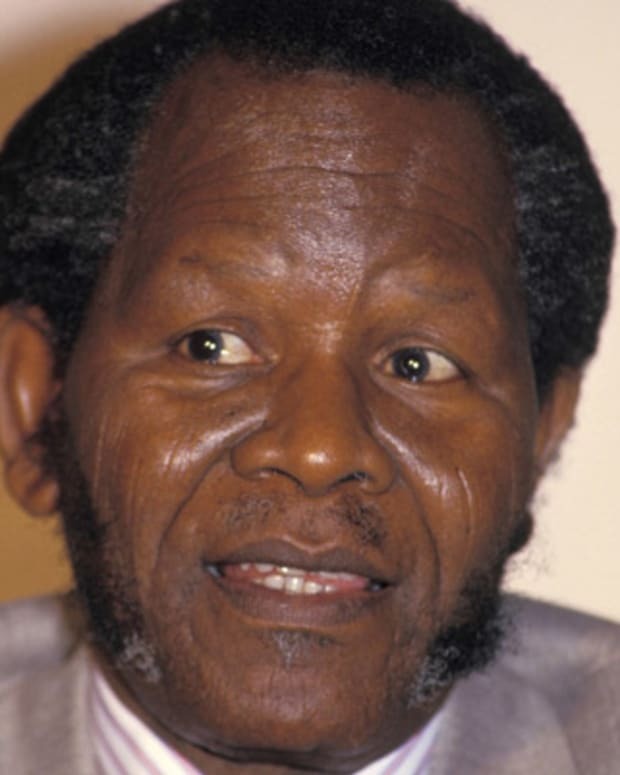 Tambo served primarily in exile. 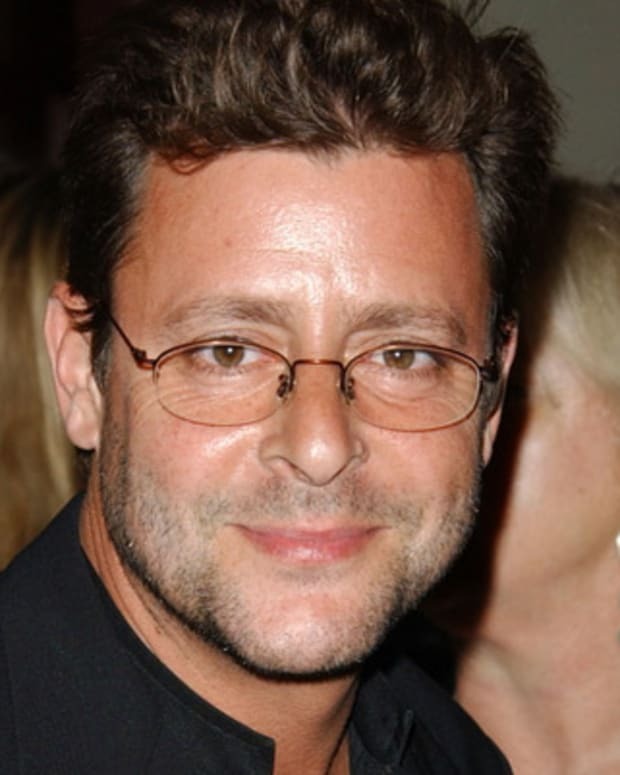 Actor Judd Nelson has made a career out of playing bad guys and antiheroes. His portrayal of a tough teenager in The Breakfast Club helped him become a star.